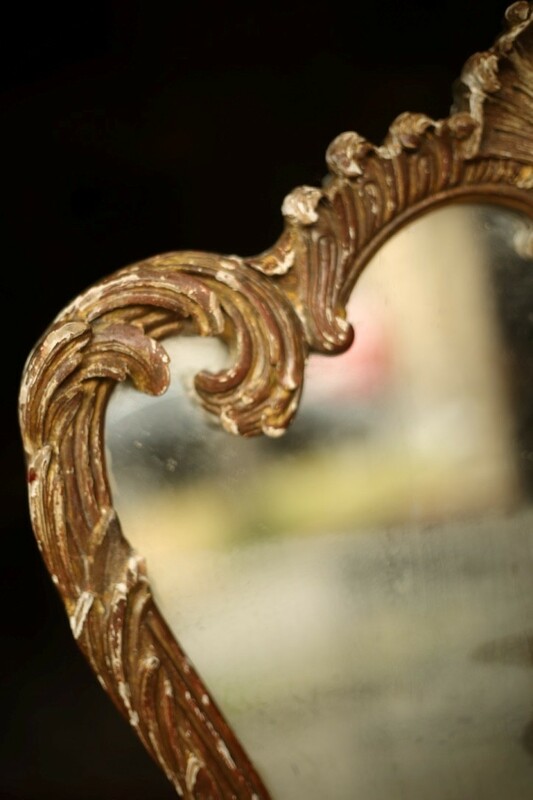 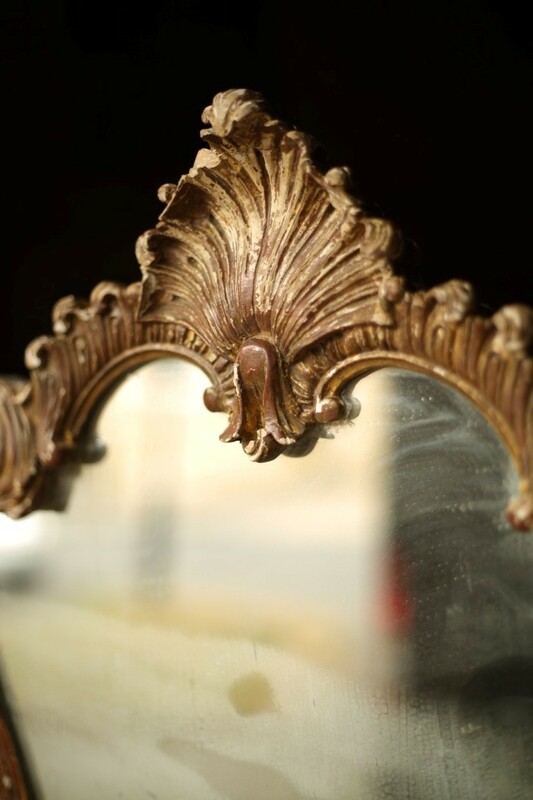 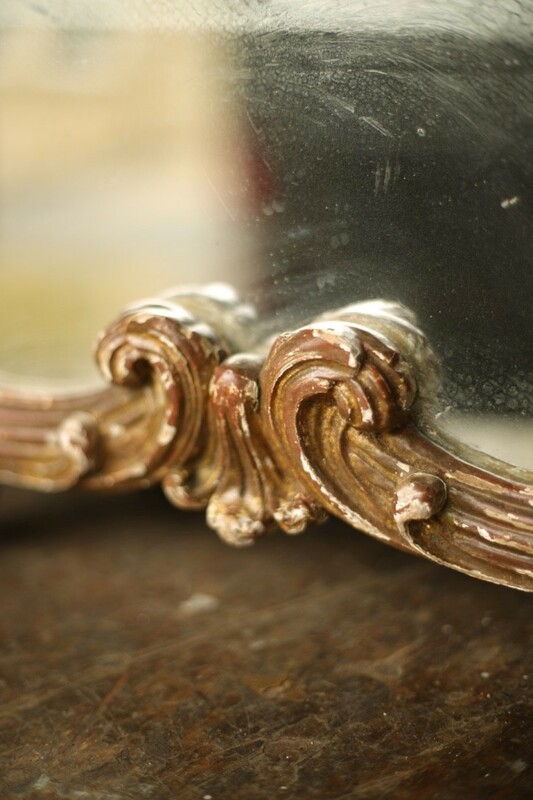 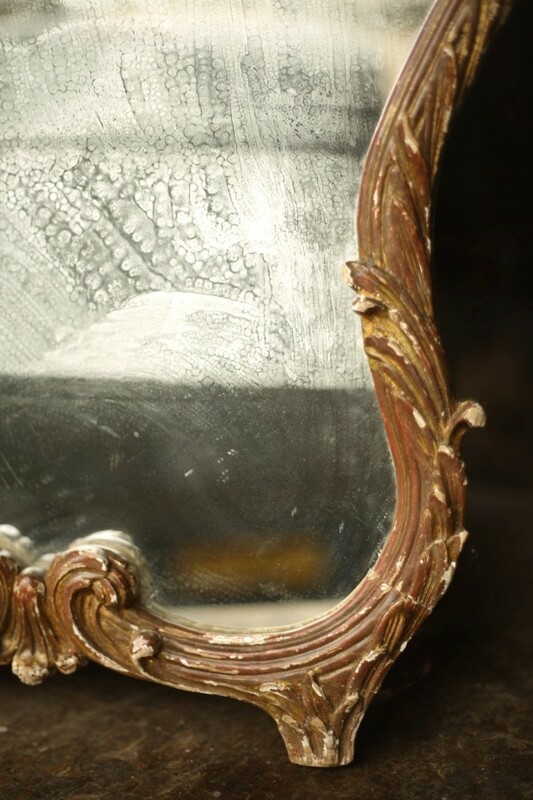 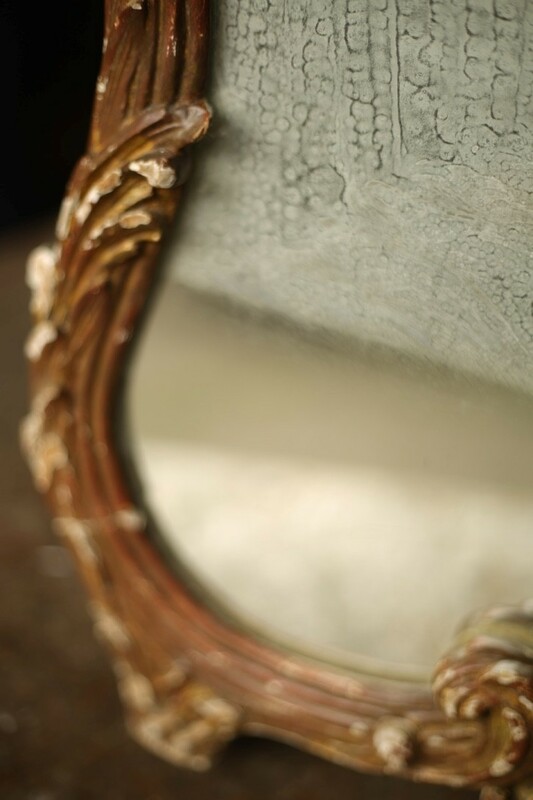 This is a stunning late 19th century French mirror. 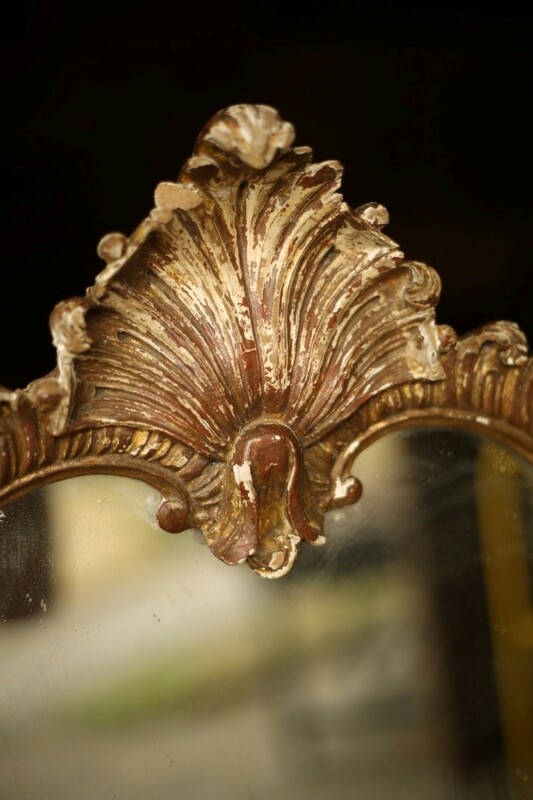 It has a heavily detailed frame with gilt and painted decoration. 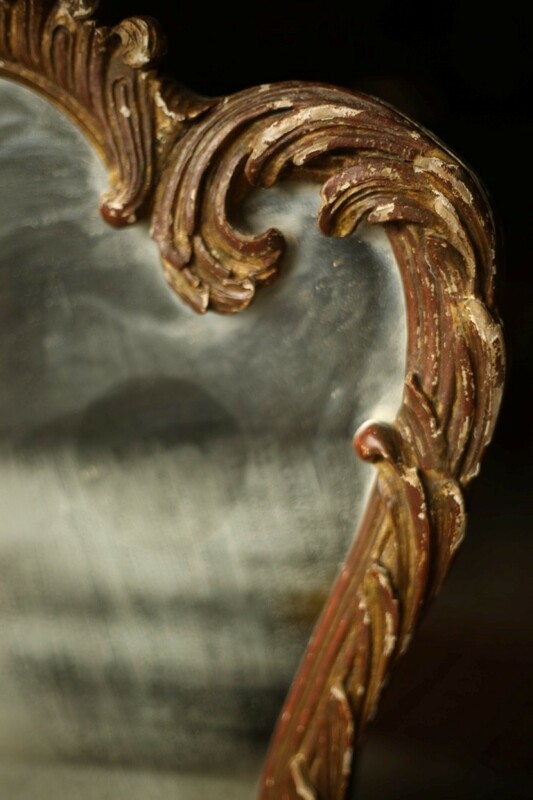 The glass has light distressing and hazing making it very attractive and highly decorative. 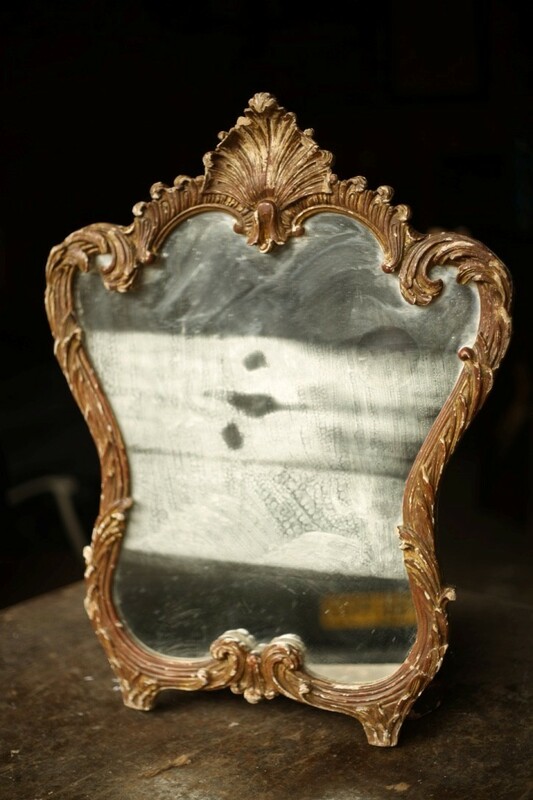 It is a good size as well, no faults and in very good condition with only minor wear. 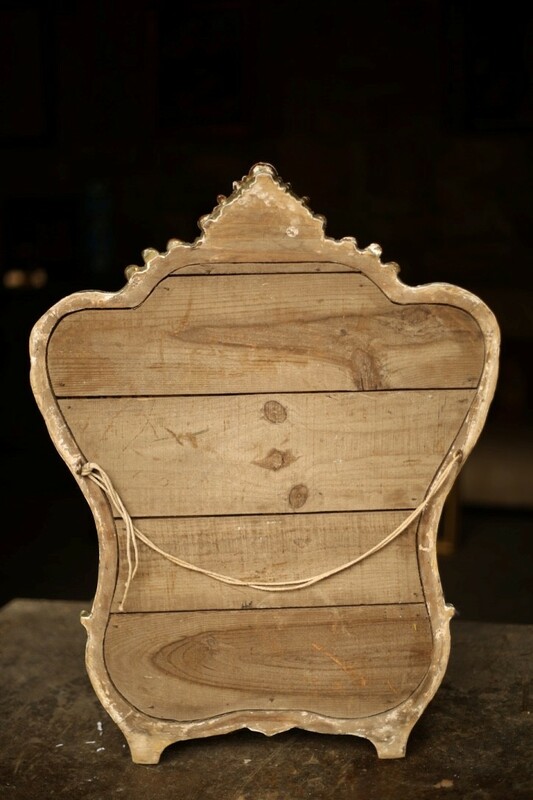 Solid wooden frame and panelled back.